Visit the refer a friend page here. Fill out your details. At this point you’ll receive your unique sharing code. Once they’ve successfully placed their first order you’ll unlock your £30 discount. Ensure your friend has your details and your permission to use them. 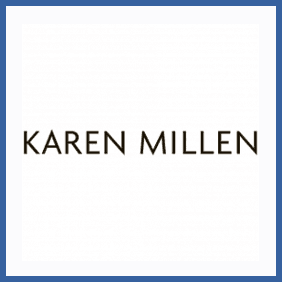 Sign up for a new Karen Millen account via your unique referral link. Place your first order with 15% off. Refer a friend to fashion outlet Karen Millen and, for each friend who signs up and makes their first purchase, you’ll receive £30 off your next order. A Referrer may not earn more than 5 within any 24 hour period or 25 within last 12 months or 1500 GBP of reward value within last 12 months.